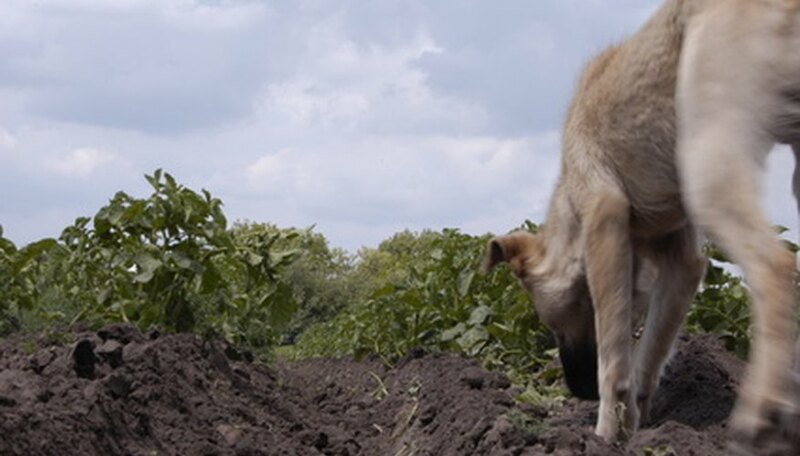 It's difficult to watch your potatoes grow, since the tubers grow underground. Gardeners can learn to identify the leaves, shoots and stalks of their potato plants to monitor the plant through the growing season. Potatoes themselves should be familiar, but some gardeners may be surprised at the array of types of potato plants that exist. Potato tubers grow underground. The stalks and leaves that appear above ground are dark green. 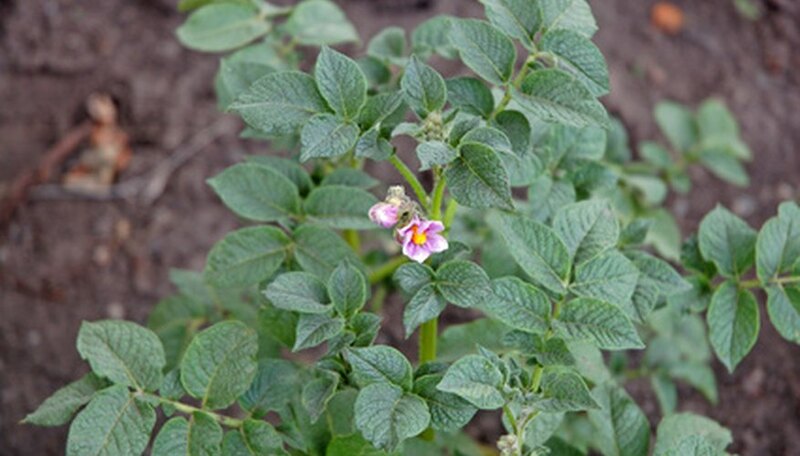 Potato plants develop pale purple or pink flowers with a yellow center that will produce seeds. While potatoes can be grown from true seed, the typical "seed" is actually a small piece of potato tuber with at least one "eye." Gardeners should purchase seed potatoes rather than use cut-up store-brought potatoes for seed. Seed potatoes can be small whole potatoes or chunks of cut potato that weigh 1-1/2 to 2 oz. each. True potato seed comes from the potato plant flowers. These flowers produce berries containing hundreds of small seeds. The seeds can be planted directly in the garden bed three to four weeks before seed potatoes are planted and will yield potato plants. Potato leaves are flat-edged and nearly oval-shaped with a point on the end. The leaves grow off both sides of the stem and are dark green with pale green veins. Potato plants take two to four weeks to emerge from the soil once they've been planted from seed potato. If you're unsure whether you've got a weed or a potato growing in your garden, watch the plant's development: A potato plant has a vining habit and will display vining tendrils. The plant quickly develops several branches that display the ovoid potato leaves. Gardeners can choose potatoes that produce tubers with red, blue or yellow skin and pale white, creamy white or purple flesh. Why Are My Potato Plants Not Flowering?